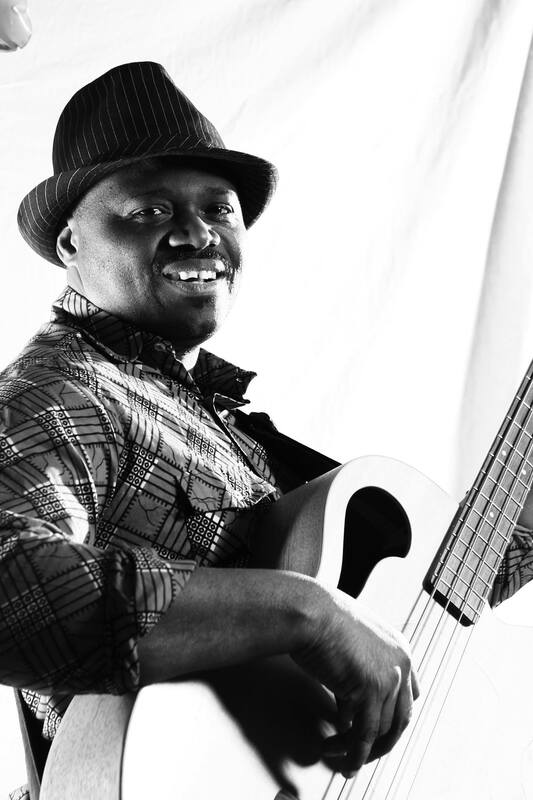 Arcadius Didavi, composer, bass player and singer, is known for his fascinating art to weave together traditional music from Benin with modern jazz. West African polyrhythms emerge from the interplay of various percussionists. 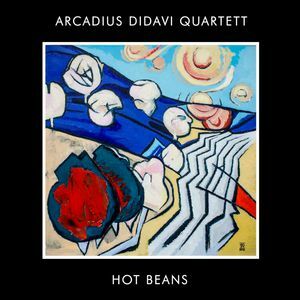 Didavi applies this principle to his compositions and combines the resulting complex rhythms with jazz harmonies. Didavi’s creativity seems to have no limits: Apart from playing electric bass guitar with great virtuosity and groove, he also plays Tanikka, Double Kalimba and Gogba, which he adapted to achieve nuanced refreshing sounds. His charming way to involve the audience into the performance, his poetic use of dramatic elements and African proverbs, as well as his heartful voice create a captivating ambiance. With his distinct cultural fusions Didavi stands in the tradition of Randy Weston, Joe Zawinul and Ali Farka Touré. With his precise and versatile saxophone play the Bulgarian Vladmir Karparov, himself rooted in Balkan jazz, gives an oriental radiance to Didavi’s enchanting melodies. On piano Kelvin Sholar from Detroit, winner of countless jazz awards and a musical visionary and cultural border crosser, juggles with lightness the African rythms, combining them with unusual sound effects. The Greek-Sudanese drummer Dimitris Christides seems to turn his drum set into a melodic instrument. His intense rhythmic interplay with Didavi on bass is a feast for ears and eyes. All four musicians are outstanding by their technical standard and creative playfulness. Their complicity reflects their long lasting collaboration. In its multi-cultural style this international quartet is characteristic for the Berlin jazz scene and a popular crowd puller. An unforgettable experience! Arcadius Didavi, during his childhood in Benin a traditional stilt dancer, played bass guitar in jazz clubs along the West African coast. With the „West African Art Jazz Orchestra (WAAJO)“ he played at Massa-festival in Ivory Coast and Saint Louis in Senegal. He accompanied Papa Wemba, Monique Sikka, Nayan Kabel, Hervé Mecheny, Margaret Pikes (Roy Heart Theatre), Rhoda Scott, Gilles Rennes and his childhood friend and compatriote Lionel Loueke (Blue Notes). In 2006 Didavi moved to Europe, where he performed on stage with Ramon Valle, Aly Keita, Kossilate Republic, Matthias Klause-Gauster, Mark Scheel, Liquid Jazz Trio, Bettina Landmeier, Lito Bringas, Sonja Kandels, Abdourahman Diop, Sister Fa, Jumaa, Marco Jovanovic, Afroberlin High Orchestra, Tatiana Heintz & Gilbert Trefzger. In 2012 he founded the Arcadius Didavi Quartett in Berlin to bring his Afrojazz Fusion on stage. In 2017 he founded the Trio Afrikadelle for Afrodance & party music.